"One of the Country’s Leading Personal Injury Firms"
"The most powerful plaintiffs firm in the city." Verdict against Ford in death of a boy run over by truck with defective parking brake. The then-second largest such verdict in the nation. Largest contested liability personal injury verdict in Pennsylvania history, including $48 million compensatory and $61 million punitive damages for the family of a woman killed by a fallen electric line. Largest-ever medical malpractice verdict in Pennsylvania, for a baby who suffered severe brain damage due to medical malpractice. Verdict against the Philadelphia mass transit agency in a case in which a boy’s foot was severed in an escalator. Settlement with oil refinery in death of a worker, believed to be the largest-ever reported settlement nationally for a single-victim employee fatality. Kline & Specter, PC, is a preeminent law firm in the United States concentrating in catastrophic injury and medical malpractice litigation. The firm has achieved more verdicts and settlements in excess of $10 million than any law firm in Pennsylvania (read the analysis). It holds impressive records in the state, including the largest verdict in a contested liability case — $109 million verdict and subsequent $105 million settlement. Its $95.6 million award for a building collapse victim is the largest personal injury recovery for one person. Kline & Specter is headed by attorneys Tom Kline and Shanin Specter, both named among the best lawyers in Pennsylvania and the nation by various independent survey organizations. 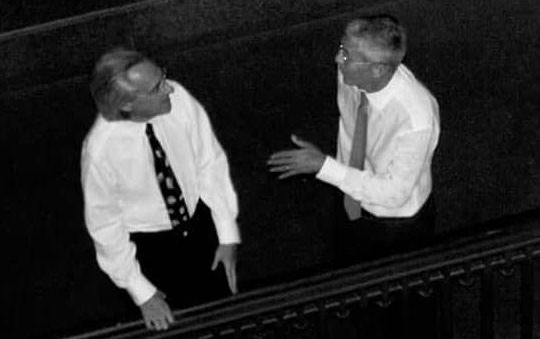 They are elected members of the Inner Circle of Advocates, a select group of 100 of the nation's most celebrated trial lawyers. Kline & Specter, with more than 40 attorneys, five of whom are also highly skilled doctors – the most of any firm in America --has unparalleled expertise and unsurpassed success in medical malpractice litigation. Beyond monetary awards, the firm’s cases have prompted safety changes in government and industry. (See Safety Improvements) Litigation has spurred action for product recalls, changes in hospital protocols and new rules for citizen protection. The Hall case, for instance, prompted SEPTA to upgrade all its escalators to include safety devices. In the Gillyard/Rich civil rights case, Shanin Specter got the Philadelphia Police Department to establish new guidelines requiring safer operation of squad cars. And the firm’s representation of a victim in the Penn State child sexual abuse case will hopefully help lead to changes in the university’s policies and practices. Most recently, efforts by Kline & Specter attorneys helped enact the Timothy J. Piazza Act aimed at deterring hazing on college campuses and elsewhere. Kline & Specter and its attorneys also make substantial contributions to a long list of charities and public institutions in the community (see our Charities page), including the recent donation of $50 million by Tom Kline to Drexel University's Kline School of Law (Read about the donation) and his $7.5 million gift to Duquesne University School of Law to create the Thomas R. Kline Center for Judicial Education. In addition to litigating a vast array of individual personal injury cases, Kline & Specter represents women in state and federal court who were injured by transvaginal mesh. The firm, with several former prosecutors among its attorneys, also handles False Claims Act cases filed under seal in courts around the country as well as clients with claims filed under the Internal Revenue Service’s whistleblower program. Our qui tam cases, both those in suit and those under investigation, involve a variety of fraud on federal government programs, including schemes by large health care companies and institutions to defraud Medicare and Medicaid. Our IRS whistleblower clients have reported tens of millions of dollars worth of tax fraud to the government. 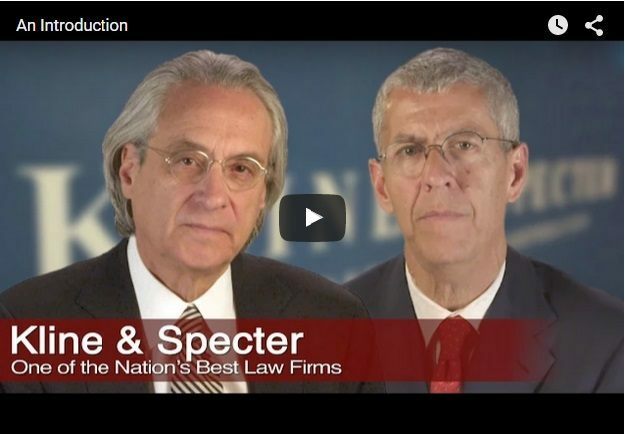 Kline & Specter dedicates true attention to each client. The skill and experience of its attorneys, along with innovative trial strategies and the use of the latest in courtroom technology, helps to ensure a high success rate with impressive results. The firm handles cases in Pennsylvania, New Jersey, Delaware and New York. For cases outside those states, Kline & Specter works with local attorneys in each state as applicable. Kline & Specter, PC works on a contingent fee basis – which means we only get paid if and when you are financially compensated. Kline & Specter is paid a percentage of the amount recovered. Any costs incurred by Kline & Specter will only be charged if the client is financially compensated. After a very careful screening process, Kline & Specter takes only cases it believes to be meritorious. Contact a personal injury attorney or whistleblower attorney today. Kline & Specter, PC only provides legal advice after having entered into an attorney client relationship, which our website specifically does not create. It is imperative that any action taken be done on advice of counsel. Because every case is different, the description of awards and cases previously handled do not guarantee a similar outcome in current or future cases. The firm practices law in New Jersey as Kline & Specter. Super Lawyers, Best Lawyers in America and other organizations that rate attorneys are not designations that have been approved by the State Supreme Courts or the American Bar Association. This website is not intended for viewing or usage by European Union citizens.